K-OS takes us on a journey through his mind with Can’t Fly Without Gravity. Album Review. The hip hop legend that brought us the song “I Wish I Knew Natalie Portman” (one of my all time favourite songs) is back. K-os takes us on a journey into space with his newest album Can’t Fly Without Gravity. Don’t expect too much of a departure from his regular sound as this album is classic k-os. Can’t Fly Without Gravity starts out with the piano carried song “Snapback”. It prepares you as the next song “WiLD4TheNight (EgoLand)” hits you hard. The heavy bass driven song find k-os rapping over a trap sounding beat. 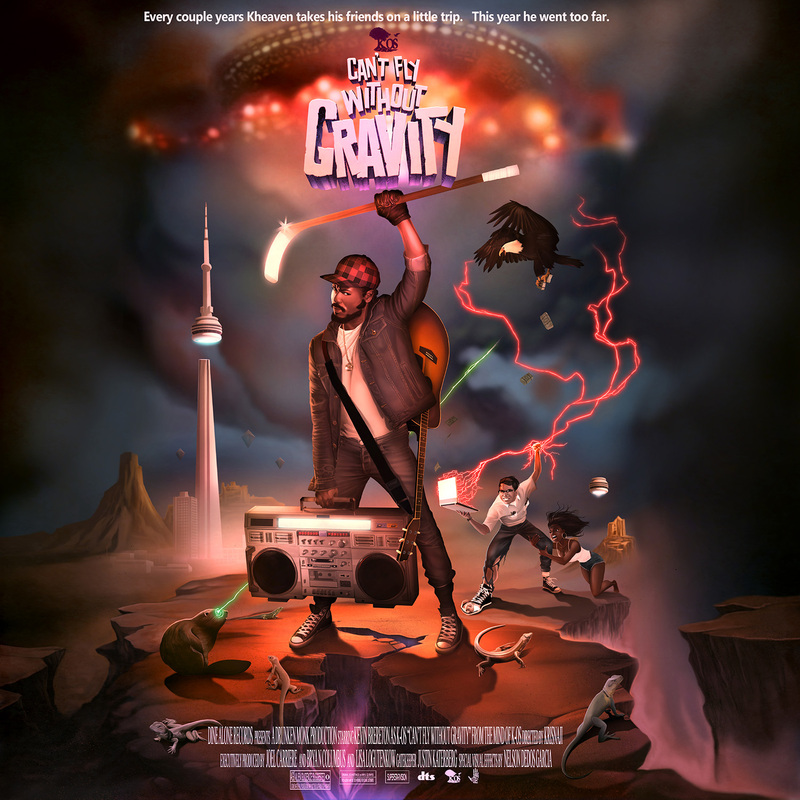 The album Can’t Fly Without Gravity will show you why k-os is a legend in Canadian Hip Hop. It’s a great album but at the same time it’s not earth changing or something insanely new. This is kind of what I expected the album to sound like. And that’s not a bad thing but sometimes you want music to shock and surprise you. With that being said it doesn’t mean that Can’t Fly Without Gravity is a bad album. k-os put together an album for everyone with insanely catchy songs like “Turn Me Loose”, “Dance In Yo Car” and “Another Shot”. “Another Shot” is my favourite song off the album, with the combination of a somber but bouncy beat and k-os’s impressive vocals this song is unbeatable. What else impressed me about this album was the lack of features. It’s always amazing to me when an artist can make a great album with little to no features. But if you are someone who needs features then don’t you fear k-os brings us a song packed with some of the best Canadian MC’s. The song “Boyz II Men” features Saukrates, Kardinal Offishal, Choclair, King Reign and Shad all on the same track. They strut their stuff each laying down hot fire verses. Overall Can’t Fly Without Gravity will make k-os fans very happy as it shows he doesn’t intend to slow down anytime soon. k-os is a legend and this album proves it. I would give Can’t Fly Without Gravity four Natalie Portman’s out of five.